If you have every been stressed or anxious you will have some idea of the negative impact it can have on your wellbeing. There is really no difference for your dog. An anxious dog, like us, could suffer with the stress, and in this article, we try and address some techniques for helping to calm an anxious dog. That being said you should never overlook checking with your vet. 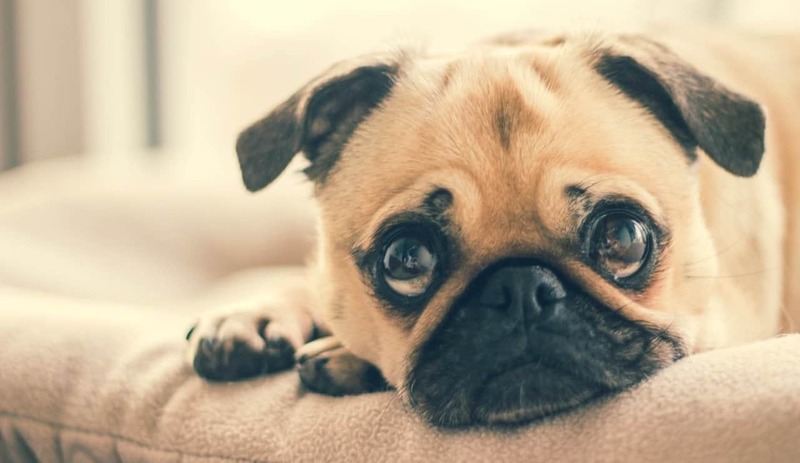 What are the signs of anxiety in your dog? It is important to note that anxiety can resemble other underlying conditions that should be ruled out early on. For example, your dog may constantly lick one area (overgrooming) which could be a sign of stress but equally could be a dermatological issue. If you notice any unusual behaviour you should seek your vet’s advice in the first instance. If the vet believes it is anxiety they can make recommendations from there that could vary from medication, an animal behaviourist or things for you to try yourself. General signs of stress in your dog can include many different behaviours and it’s difficult for us to summarise them all so we have focussed on some of the most common. It’s always worth reminding ourselves as dog owners that our dogs don’t talk (not in the human sense anyway!) so this suggests body language is the best way for your dog to communicate. Be aware of changes in your dog’s body language including repetitive behaviour, which may include licking and vocal signs (for example excessive barking). Other signs of stress in your dog worth noting include obvious signs of nervousness/anxiety such as trembling. Any change in normal activities may also indicate stress, for example, your dog may be apprehensive to play a game they normally love. Finally, any kind of unwanted toilet behaviour may indicate anxiety, one reason (on top of many others!) not to punish your dog if this happens. Causes of anxiety in your dog? Like us there are many causes of anxiety in dogs and the causes are not always obvious. If you have a rescue dog that may have had a tough time, then this would be an obvious factor to consider but if the dog’s history is unclear then pinpointing the cause may be difficult. Change can be a major cause of stress. If your dog does begin to display some of the signs of stress or anxiety then working through any changes in routine is a good place to start, for example, a house move or change in working patterns (including leaving the dog on its own for longer). Leaving your dog on its own for long periods of time can lead to separation anxiety. This is one of the most common forms of anxiety in dogs. It can be difficult for an owner to work out the cause of the stress so be patient and methodical in analysing changes in your dog’s behaviour, and when these changes started. A diary may be useful in looking for any triggers. Bear in mind the cause of stress may be something that has happened while your dog has been left on its own. This is a good reason for anyone considering getting a dog to think about whether this is the right thing for them and the dog (our article on rescue vs. breeder has some useful questions worth answering). As with anything, expert advice can be helpful in establishing the root cause and your vet or a qualified animal behaviourist should be able to help. With modern technology you can of course watch your dog when you are not around. This may very quickly illustrate what the cause of the stress is in your dog (it might be loud noises that trigger the anxiety or something as simple as the postman). This will then make it easier for you to know how to calm down your dog. A good review of dog monitoring systems can be found here. Like us, your dog needs physical contact and affection, and this can be particularly important if your dog is suffering from separation anxiety. It is worth noting that you can overdo it having the opposite desired effect. Setting aside quality time to play and interact with your dog is really important. Remember physical contact includes body language, so if you are trying to calm a stressed dog then any signs of your own stress may amplify the situation in your dog. Remaining calm is extremely important. Parents will know that getting angry with your children when emotions are running high often won’t be as effective as a calm and rationale chat, and your dog is no different. Like (most of) us dogs like cuddling and this can help relieve some stress. This can be effective when stressful triggers are clear, for example thunder. It may seem obvious but avoiding any triggers is crucial which is why keeping dogs inside during fireworks is recommended (more info here relating to fireworks). It is well known that exercise helps increase endorphin levels (chemicals in the brain that can act as natural painkillers). This is well documented in humans and is one of the reasons why exercise can relieve stress and help provide an improved night’s sleep. This is no different in dogs. A good walk or playtime should be effective at helping to relieve your dog’s stress, unless of course, there is an injury, or your vet advises against it. First and foremost, any medication should be used under your vet’s supervision and guidance. Medication shouldn’t be used to replace behavioural therapy but rather in conjunction with it. There are lots of medications that will claim some form of effect on your dogs stress. Be very careful in using anything that isn’t grounded in science and proven understanding otherwise you could be putting your dog at risk. There are natural remedies that are available and can be effective. One medication example is Adaptil, which contains chemicals that have been shown to work as a tool to help calm your dog during stressful situations. 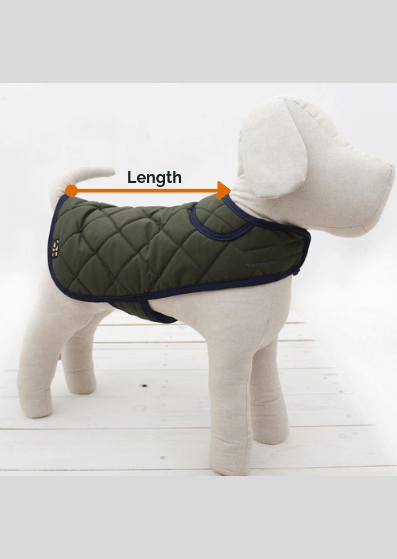 There is also clothing that can add some pressure to the dog’s body in a way that imitates cuddling, one example being thunder shirts. There are many options and we don’t want to bamboozle you with science, especially, as like us, every dog is unique and will need a different treatment whether that be behavioural or medical, and ultimately the experts will be able to determine the best path for your dog.